The Chicago Cardiology Institute, a leading healthcare provider offering treatment for cardiovascular and peripheral vascular diseases, has implemented a new secure text message service that allows its nurses, physicians and other healthcare staff to communicate in a timely and efficient manner, without running the risk of violating data privacy and security legislation. The Health Insurance Portability and Accountability Act (HIPAA) places a number of restrictions on healthcare providers to ensure patient privacy is protected and Protected Health Information (PHI) is secured. 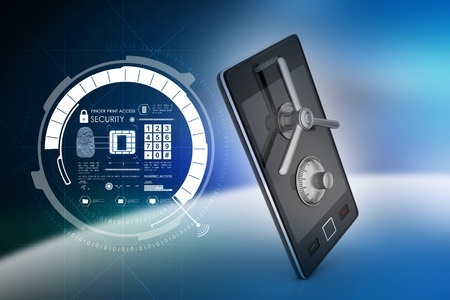 HIPAA does not permit the transmission of PHI over insecure networks; meaning pagers, Smartphones and other mobile devices cannot be used to communicate PHI, unless the data is first encrypted. Healthcare providers wanting to improve communication between care teams, and speed up the exchange of healthcare information, must implement a system to secure communications. One of the most efficient and easiest ways to do this is to use a secure text message service. Like many healthcare providers, the Chicago Cardiology Institute wanted to implement a new communications system that would speed up the exchange and sharing of patient health data, improve efficiency and reduce the many physician-hours that are lost on slow, outdated, internal communication systems. The service allows staff at the institute to communicate quickly, efficiently, and across departments and facilities. PHI such as patient treatment notes, medical test results, consultation information and even X-rays and other medical images, can be transmitted quickly and securely. As with many insecure communication channels such as WhatsApp, Messenger and Skype, the TigerText secure text message service allows group conversations. In contrast to the insecure services, the messages cannot be intercepted or read by unauthorized individuals. As a result of implementing the secure text message service, Chicago Cardiology Institute has managed to significantly improve response times, with physicians and other healthcare professionals able to get answers in seconds or minutes, instead of hours. Communication has improved, physicians are happy, and patients have benefited from an improved, more efficient service. TigerText is a provider of secure, real-time messaging technologies for mobile devices. The company’s secure messaging platforms enable healthcare providers and other heavily regulated industries to securely communicate data over mobile networks, while protecting against accidental data exposure. The company’s secure, encrypted messaging platform has now been adopted by more than 5,000 facilities in the United States, including four of the top five not-for-profit U.S healthcare systems. The TigerText secure messaging platform allows HIPAA-covered entities to streamline communications, while keeping all messages secure and HIPAA-compliant. The company has developed its platform to be compatible with Apple and Android Smartphones.